Choose every thread color, personalize to perfection and customize down to the stitch. Our software helps you create anything you can imagine — and maybe even a few things you can’t. Create embroidery charts automatically from your own family history. Watch your chart grow as you enter the info! 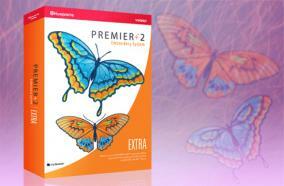 Create the perfect embroidery with unlimited design capabilities. 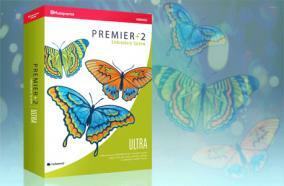 Create your own Fonts and SuperDesigns to use in the PREMIER+™ Embroidery System. Adjust, monogram and combine your embroideries with an unlimited number of designs and lettering options. 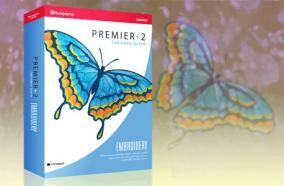 The toolbar layout makes PREMIER+™ 2 EMBROIDERY so easy to use — all related features are grouped together intuitively. Choose from a huge range of designs and SuperDesigns to adjust and personalize. Adjust colors, rotate and mirror designs, individually or in a group. Group and ungroup even after saving. Move designs into the hoop automatically and change a design’s stitchout order. Resize any design with the option to keep stitch density constant or simply rescale. Personalize your projects with unlimited lettering choices including puffy foam. Select from 175+ embroidery fonts or use TrueType® and OpenType® fonts. Import embroidered letters to create a font, and manage the fonts you create with the Font Manager. Create lettering in one of 35 preset shapes, and reshape blocks of lettering with the Handles. Resize letters individually, and adjust spacing between letters, or create elegant monograms. Enjoy unlimited editing of text and stitch types, even after saving! Includes wonderful effects such as multigradient and multicolor satin, and curved crosshatch fill.